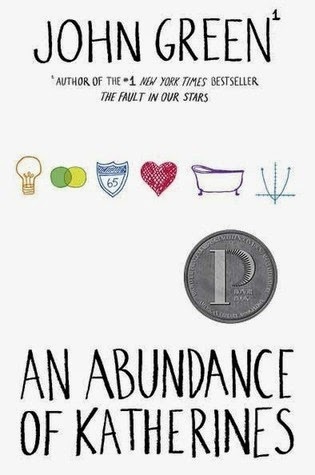 Diverting from the tragedies of The Fault in our Stars and Looking for Alaska, John Green takes his readers on a logic-based, mathematical ride into the relationships of the main character Colin Singleton and the nineteen Katherines with whom he has managed to date and be dumped by. Colin has just graduated from high school and has also been dumped by Katherine XIX. Not quite ready to head off to college and seriously pining for Katherine XIX, he listens to his best friend Hassan and leaves home for a road trip. Driving from Chicago, they make a stop in Tennessee, and here is where the majority of the novel occurs. Gunshot, Tennessee proclaims to have the grave of famous Archduke Franz Ferdinand. Colin, who was once identified as a prodigy, cannot let this opportunity pass, so he and Hassan buy tickets to see the final resting place of the Archduke. Here they are led on tour by Lindsey Lee Wells, a pretty girl with a fiery personality. But she’s not a Katherine. Eventually, Colin and Hassan meet Lindsey’s small-town boyfriend, another Colin, and Lindsey’s mother Hollis, who employs the boys and gives them a reason to stay in Gunshot for a while. She sends them out to interview the townsfolk, especially the “oldsters,” to find out information regarding how people came to live in Gunshot, why they’ve stayed, and where they would live if they could leave. While the information is interesting, and is the only reason for Colin and Hassan to stay in Gunshot instead of moving on, the interviews don’t seem to propel the plot in any particular direction. In between interviews and hanging out with Hassan and Lindsey at “Taco Hell”, Colin begins working on a Theorem to figure out (1) why he keeps getting dumped by Katherines and (2) if he can predict future relationships. There is an “abundance” of math in these sections, and Green himself graciously gives the reader permission to skip the mathematical explanations. I have to be honest, I tried to read the footnotes here, but I ended up skipping them. I got the point nevertheless. The book essentially explores the relationships between friends, the journey to mend a broken heart, and the realization that logic doesn’t always need to be the answer. Any intuitive reader will be able to figure out the ending one quarter of the way through, but even guessing what will happen doesn’t detract from the humorous antics of Colin and Hassan’s friendship and the need to step outside one’s comfort zone (in this case, Colin’s obsession with Katherines) to see what else the world has to offer, or in this case, an unknown town called Gunshot and a girl who changes everything.